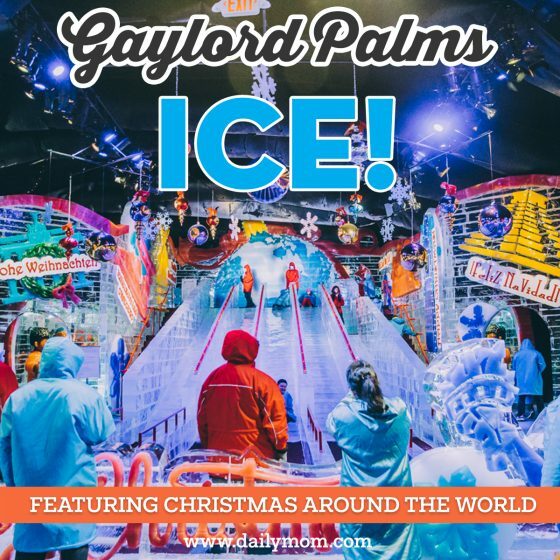 Whether you reside in Central Florida or are planning the perfect holiday getaway, Gaylord Palms ICE! 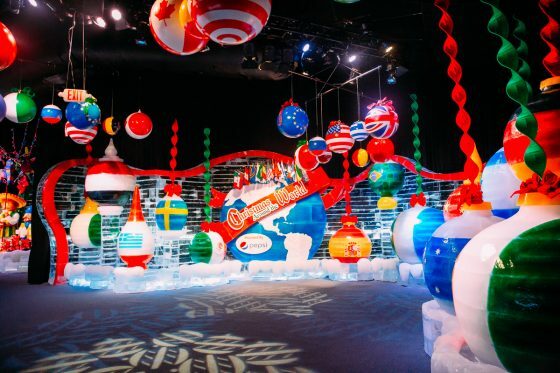 featuring Christmas Around the World is the ideal Christmas experience this Season. 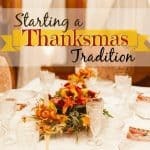 As temperatures drop around the country, families pull out their boots, scarves and winter coats preparing for snowball fights and ice skating in the evening. 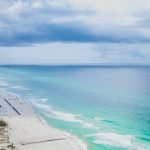 Here in Florida however, we are still enjoying our warm weather and water activities, wearing flip flops and soaking up the sun! THERE IS NO ICE, THERE IS NO SNOW, AT CHRISTMAS TIME IN FLORIDA. 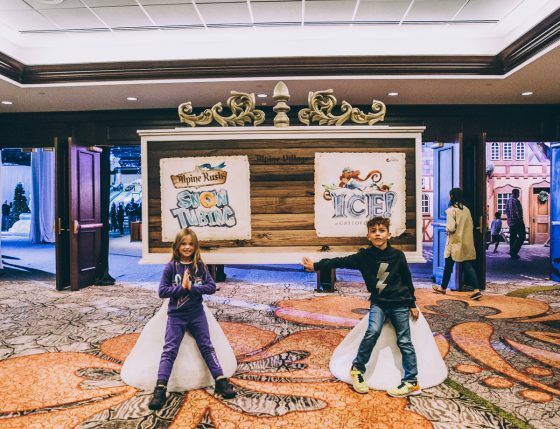 Gaylord Palms Resort and Convention Center in Kissimmee, Florida gives you the chance to experience the best of both worlds. 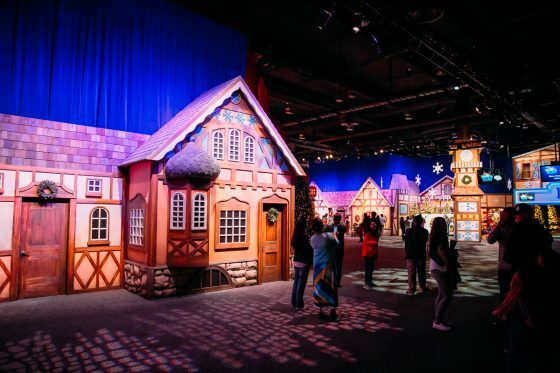 Step into the magic of the season with jaw-dropping shows, larger-than-life decorations, and an Alpine Village featuring all the winter feels! 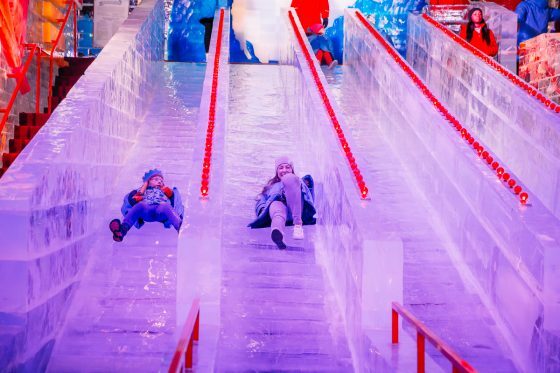 With snow-tubing, ice slides, hot chocolate and plenty of Reindeer Games, the holidays will come to life right before your very eyes. 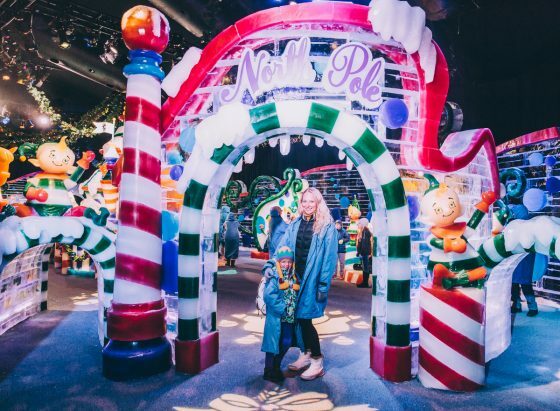 As you journey into the freezing temperatures of Gaylord’s Palms ICE exhibit this year, plan to be amazed by the bright colors, intricate ice sculptures and breathtaking Christmas scenes. Warm winter coats are provided, but make sure to wear closed-toe shoes for an enjoyable experience. 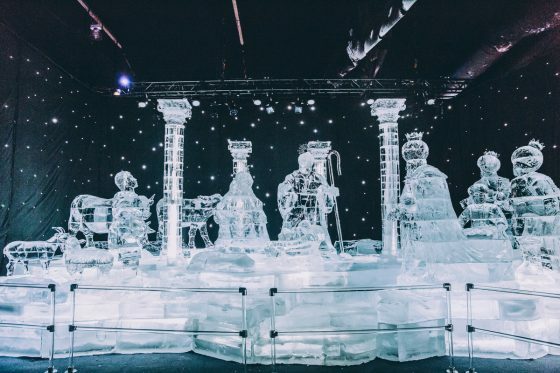 Kept at a chilly 9 degrees, which is no simple task in Florida, two million pounds of hand-carved ice will immerse you in the culture of Christmas around the World. 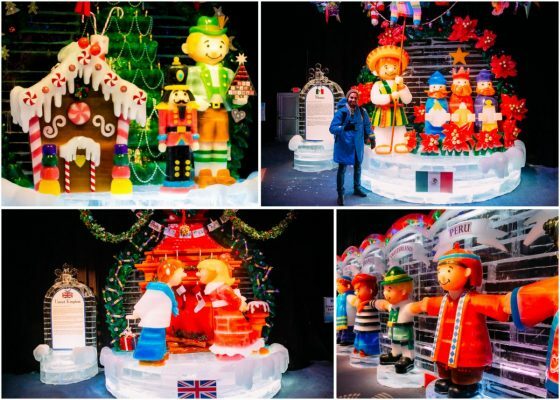 You will be welcomed by beautifully carved, colorful flags of all the countries, along with scenes displaying their Christmas traditions. 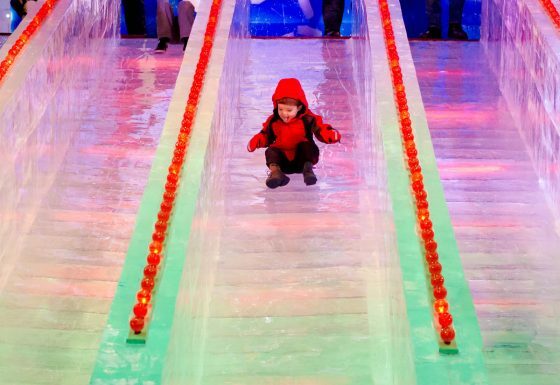 Next, make sure to take a trip down the 2-story, 5-lane Ice Slide where both children and adults will slip and slide in wintery delight! 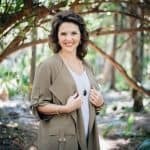 This unique holiday experience is a must and you will forget all about the cold as you laugh joyfully during this venture. As you continue on your way through this winter wonderland, join Santa and his elves in his toy workshop for some merriment and mirth. 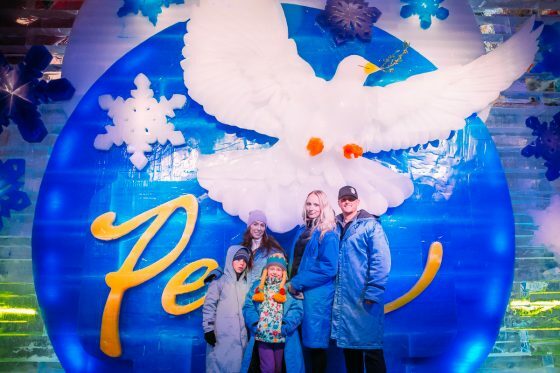 Finally plan to be astonished by a breathtaking Nativity scene carved from crystal-clear ice. 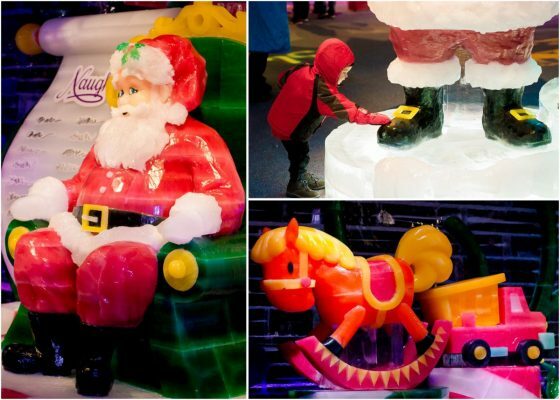 Before leaving, make sure to stop by the Frostbite Factory where you can watch the incredible artisans from Harbin, China carving ice live! 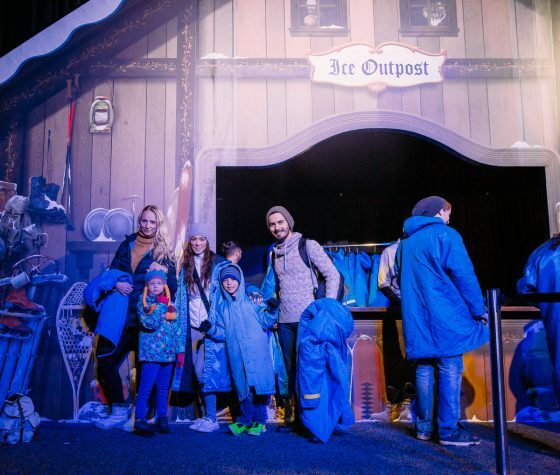 Upon entrance to the Alpine Village at Gaylord Palms you will immediately be delighted by the entertainment, decorations and activities all guaranteed to get you in the holiday spirit! Start your day off right with a fun, interactive, buffet-style Breakfast with Charlie Brown. Enjoy this delicious meal with Charlie, Lucy and the gang to fill you up and keep you warm before you head onto into the cold and freezing temperatures of the Alpine Village and ICE! 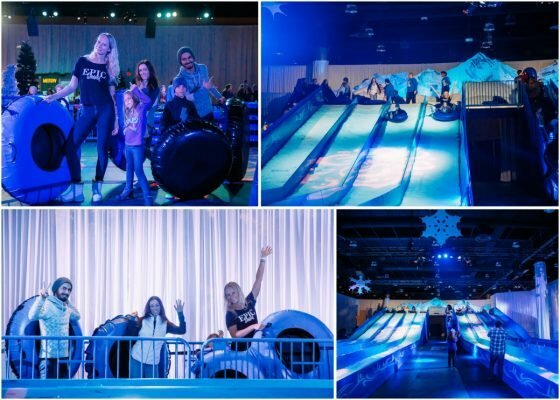 The village features an 8-lane Snow Tubing Slide with both single and double rider tubes available. Plus it is covered in REAL snow! 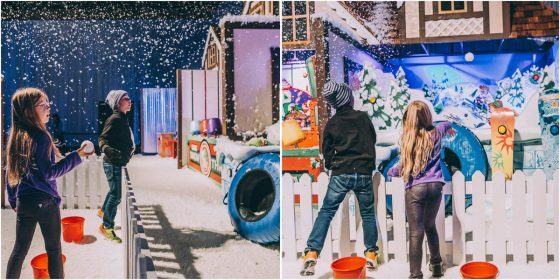 Make sure to grab a bucket of snowballs and practice your pitching prowess at Santa’s Snow Throwing Games. 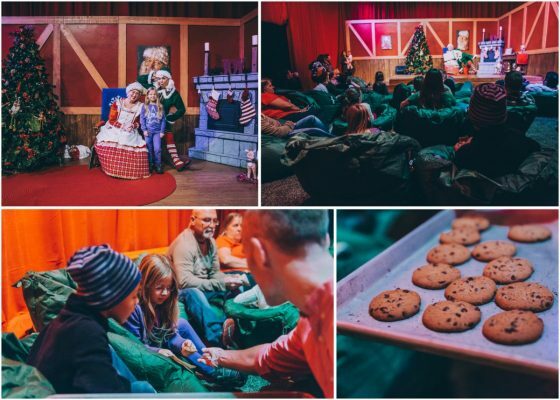 Amongst the fun and games, kick back and relax for a classic holiday story time in Mrs. Claus’ Christmas Traditions, which simply would not be complete without milk and cookies. 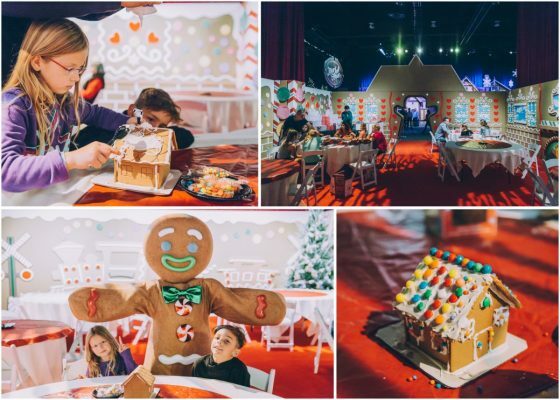 Or, stop in the Gingerbread Decorating Corner to build your own sweet, sticky authentic gingerbread house and meet the larger-than-life size gingerbread couple, Cinnamon and Nutmeg. As you make your way through the village, don’t forget to head on over to Santa’s Workshop for a photo with the big guy himself! And remember your visit would not be complete without a stop by the Reindeer Express Post Office to mail your handwritten Christmas letter to Santa! 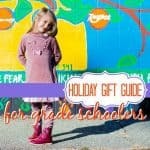 Additional attractions include the Build-A-Bear Workshop where your can create your own cuddly stuffed animal this season. Or, even join the Gaylord Palms resident polar bear, Snowburst, on a Build-A-Bear Scavenger Hunt to track down all the holiday bears hiding throughout the resort. Take a stroll down the Christmas Tree Trail and revel in the beauty of the splendidly decorated trees representing holiday traditions from 9 different countries and learn fun facts and traditional holiday greetings from each one. 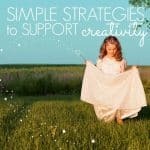 On select Saturdays let your creativity flow as you join Painting with a Twist to create beautiful holiday scenes to gift or to keep. And throughout the season, enjoy performances on the Alpine Village Stage from choirs, performers, dancers, orchestra, musical theater and more. 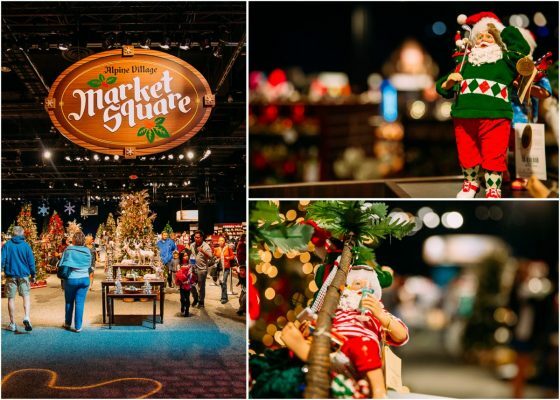 Before you go check people off your Christmas list in the Market Square Shop filled with Christmas decorations, ornaments, keepsakes, ICE memorabilia and more! 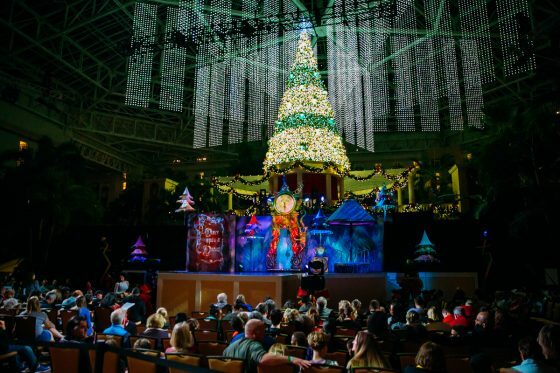 After enjoying the fast-paced adventures of ice slides and snow tubing, plan to relax in Gaylord Palms Emerald Plaza for one of the 2017 original Holiday Musicals, Joyful – Atrium Light Show or Cirque Dreams Unwrapped Stage Show. “Joyful” is a fascinating, multi-sensory atrium light show centered around a 6-story Christmas tree! Featuring an exclusive holiday musical score and millions of synchronized, dancing lights showcasing countries around the world, this is truly a unique experience for all. The show begins every evening after dark. 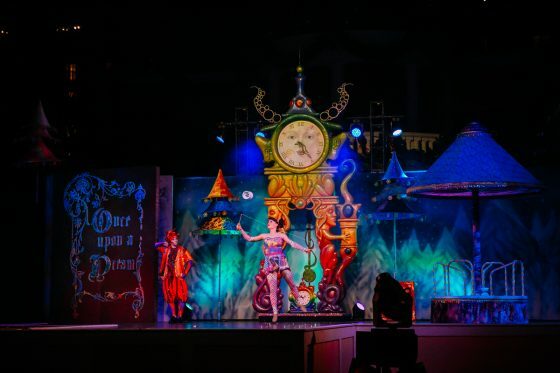 With both a matinee and evening performance, the all new 2017 Cirque Dreams Stage Show is a dazzling favorite for children and adults! 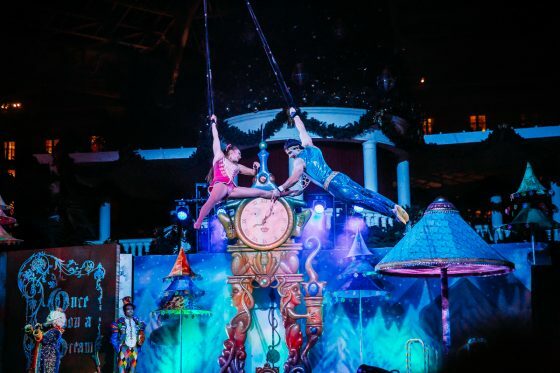 This spectacular show featuring performers and acrobats from around the world takes center stage in the Emerald Plaza. From the stage to the sky, a variety of Broadway inspired, stunning feats of showmanship will keep you on the edge of your seat. 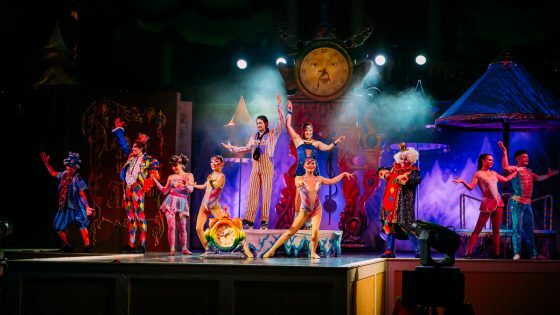 With brilliant, colorful costumes and creative, never-before-seen performances, this is a must-see when visiting Gaylord Palms this holiday season. Complimentary Seating is first come, first served. 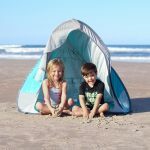 Guaranteed seating can be purchased in advance or on location. 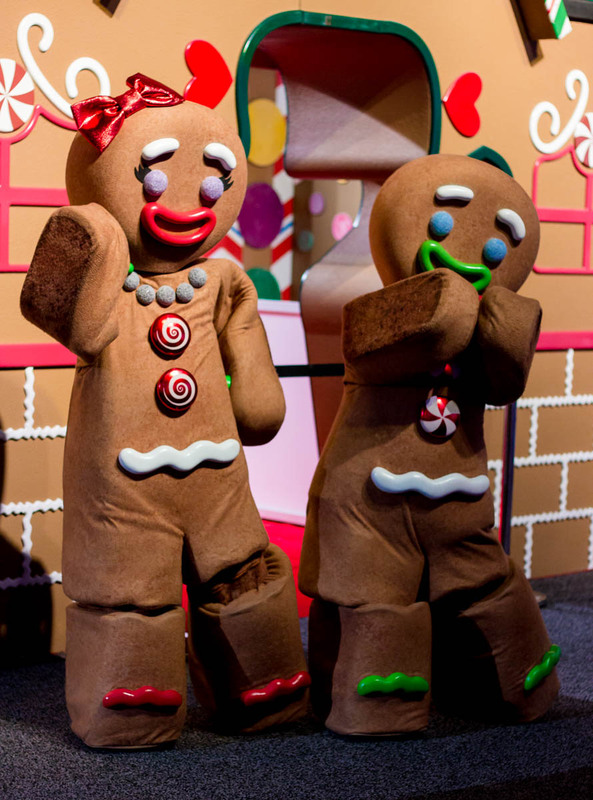 The holiday season is all about spending time with family and friends, so relax and enjoy your time at Gaylord Palms, allowing them to take care of all the rest. 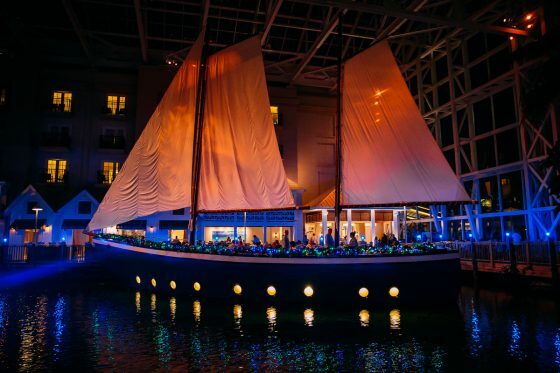 Throughout your visit or stay, make sure to enjoy the fine dining experience of one or more of the many restaurants on site at Gaylord Palms. 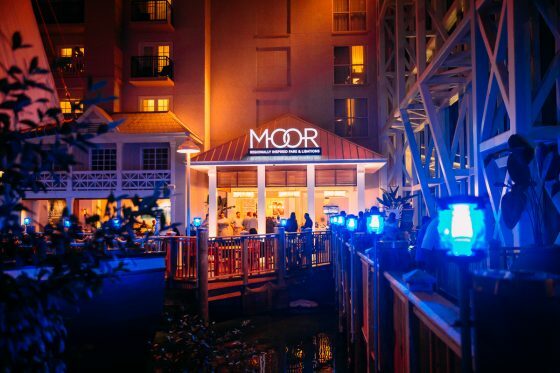 For a true Florida experience, check out Moor in the Key West Atrium offering regionally inspired dishes with a focus on fresh fish, serving lunch, dinner and cocktails. 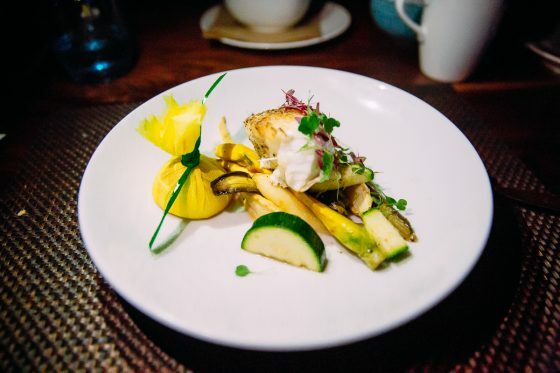 If fresh and seasonal buffets are more your style, the Villa de Flora located in the St. Augustine Atrium serves a Sunday brunch, breakfast and dinner. This is also where you just might spot Charlie Brown and friends at breakfast on select dates and times. 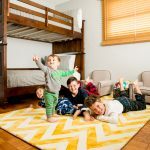 If you are more in the mood for a quick lunch so you can get back to snow-tubing or visiting Santa, check out the Emerald Bay Marketplace for grab-and-go sandwiches, wraps and more. For the perfect treat during your day make sure to stop in Honeybells located int he Emerald Plaza for a gourmet frozen yogurt with plenty of toppings made just to your liking. After spending time in the 9 degree temperature of ICE! you might want to head on over to the Cocoa Bean Coffee House for a premium Starbucks coffee drink to warm up your insides. The coffee house also serves fresh baked pastries, gourmet sandwiches, beer and wine. 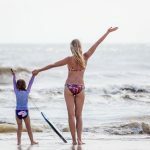 If you want to enjoy a little sunshine or have spent your day out at the pool, the Sandbar serves up all-American favorites throughout the day so you never have to trek indoors. Finally, if you plan to enjoy a fine dining experience while visiting Gaylord Palms make sure to schedule dinner at the Old Hickory Steakhouse. 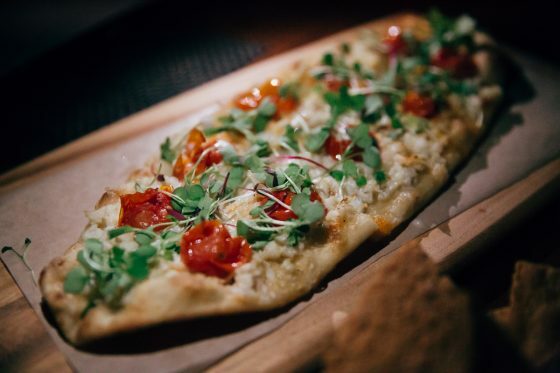 Serving only the highest quality beef, featuring an award wining wine list, and handcrafted artisanal cheeses the steakhouse is open for dinner and cocktails. 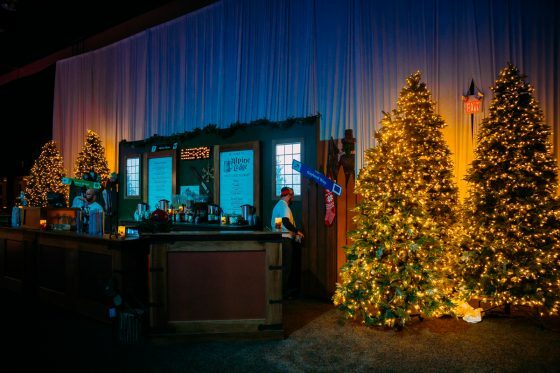 For a quick repose stop in the Alpine Lodge, located within the Village and enjoy a cocktail while gazing out upon the fun and frolic of the Christmastime activities. 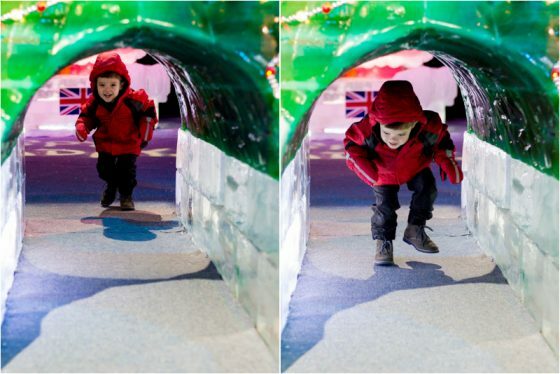 And finally, choose from a wide variety of hot and cold beverages, snacks and even Krispy Kreme Doughnuts at Snowy’s Snack Shack to keep the kids content as you move through the wintertime activities of the Alpine Village. 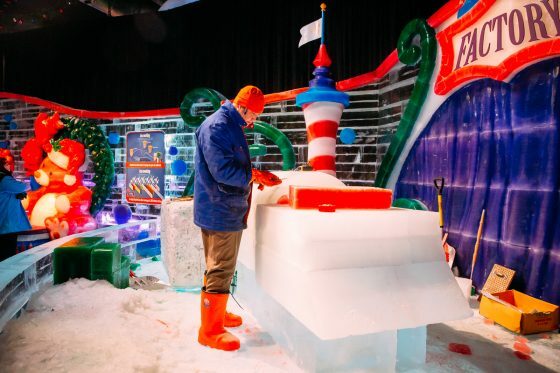 With a lineup of all-new shows, winter activities and of course their signature showing of ICE! 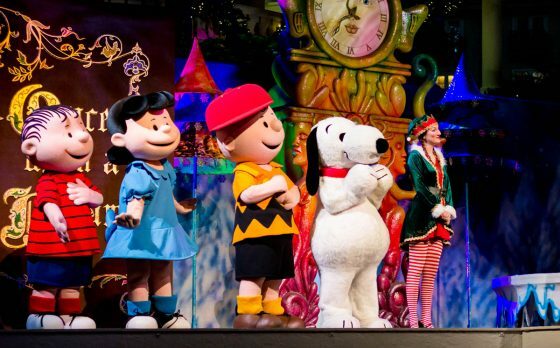 featuring Christmas Around the World, Gaylord Palms has a little of bit of something for everyone this holiday season. 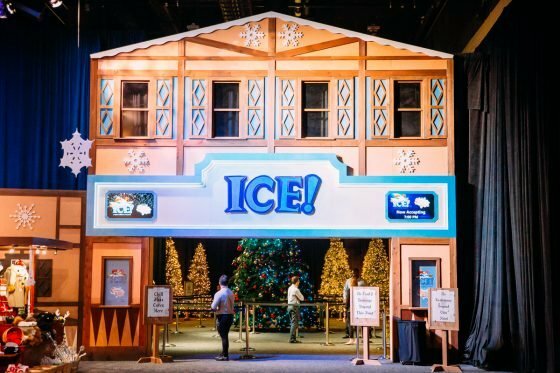 Open daily November 21, 2017 – January 7, 2018, come join the fun here in Central Florida this Christmas as ICE! brings the wintertime to life! Check out our video to see the real ICE! experience! 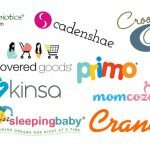 For everything from gift ideas to cookie exchanges check out Daily Mom’s Holiday section and be sure to enjoy the Holiday Spirit!